Our #WCW on a thursday because we are indie like that! My name is Joy Nxumalo. I am a 20-something year old (cough) marketing coordinator. I live in the beautiful city of Joburg. I am absolutely in love with the open road, books, and football (Mesut Özil is a better than all of you combined). Mornings! I hate waking up early (especially in winter), but mornings are the only way to balance things. A morning run or gym, then I continue with my day guilt-free. I also do Parkrun on some Saturday mornings. I started last year, so im a bit of a novice. 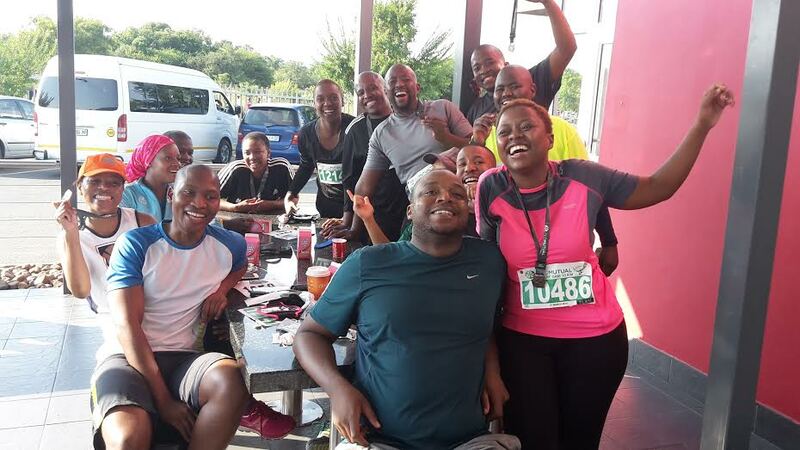 After continuously going to gym, a friend suggested the Deloitte Race in Pretoria. Naturally I was terrified out of my wits, but it motivated me as I went to gym – gave me a goal to train towards. I haven’t looked back since. My team! We call ourselves #TeamMgijimi, and are a bit of a support group for each other (that sounds a bit like AA, doesn’t it?). We have set races which we do, so we always make sure we are each ready for the next one. It’s a social group, so there is no pressure, but we are always looking out for each other. 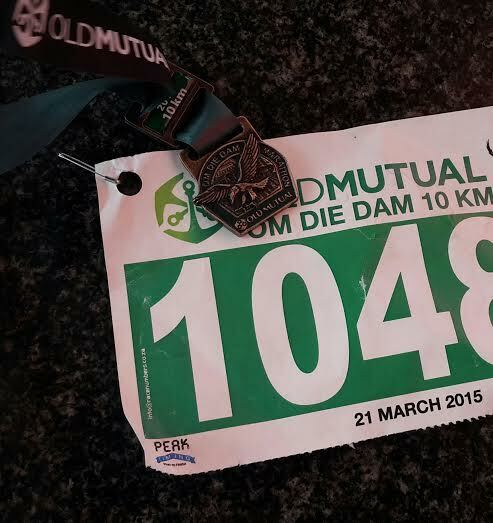 I’ve only done 10km races *hides*. Im still psyching myself up to go for a longer distance. Hopefully I’ll take the plunge soon. I own this city…I should be mayor! Lol! Okay, not really….but have you seen Joburg at the crack of dawn? When the silence of the city of broken and it’s slowly coming to life, it is just beautiful. You just want to keep running and taking it all in. 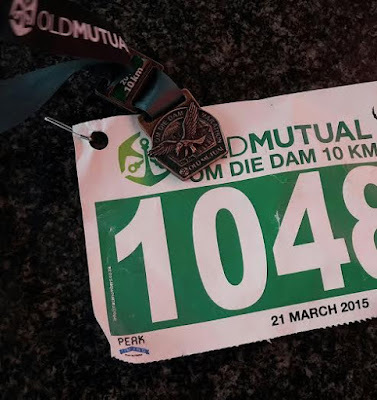 Om Die Dam 2015! The steeps on that race can test you quite a bit, but the change of route this year made it a bit easier and that much more fun. And Haarites is just awesome – it is beautiful and peaceful! Om Die Dam 2014! Lol…I know, I know, best and worst! It was just my second race, and I wasn’t mentally ready for those steep hills! I was exhausted, my knees were battered – but I guess that’s what prepared me for this year’s race. M-U-S-I-C! I play something a bit upbeat that will distract the mind while I keep going. And I also ask myself, What Would Özil Do? Just do it! (no, this isn’t a Nike plug). Seriously though, the only way to start is to just start….no matter the distance, but just hit the road. The distance will start getting longer, the body will get stronger, and soon it will be an obsession. Q. Which Social media sites are you on and how can one follow you? 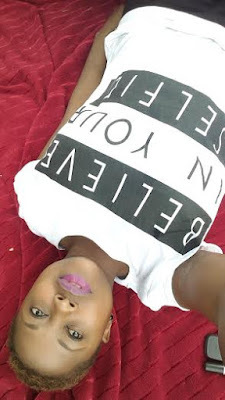 I'm on twitter and Instagram – same handle: @pjay005. My best running shoes is Nike LunarGlide 6 – my current shoe in the hottest pink! I love running because it makes me feel unbreakable. My body is stronger than I think. It always surprises me! My running playlist has Martin Garrix – Animals. I hate running when it’s cold. Winter is my nightmare - im a sunny bunny. The road clears the mind. Always. Sweat is yucky. Lol! No really, I don’t like sweat. In future, I would like to run longer, faster. Faster, definitely. I have aims for the next Two Oceans. Indie means free to be! I do not like runners who talk too much! Lol! I’m okay with the pep talk here and there on the way, but please don’t give me your entire life story while I’m trying to run.